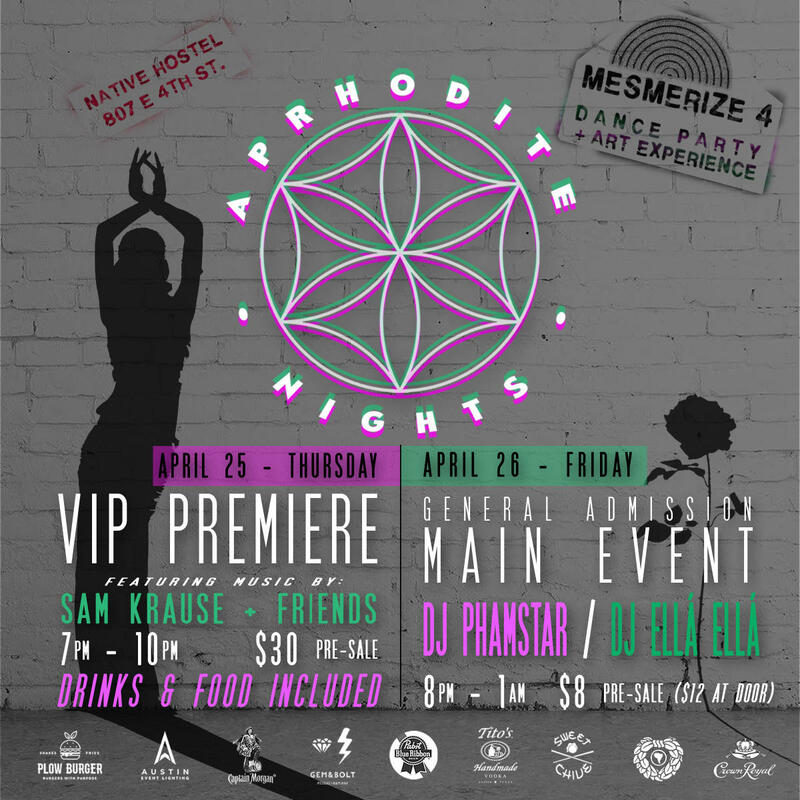 Join us for Mesmerize 4 : "Aphrodite Nights!" Friends & art lovers....we're back for another spectacular and this time it's a special two night event! 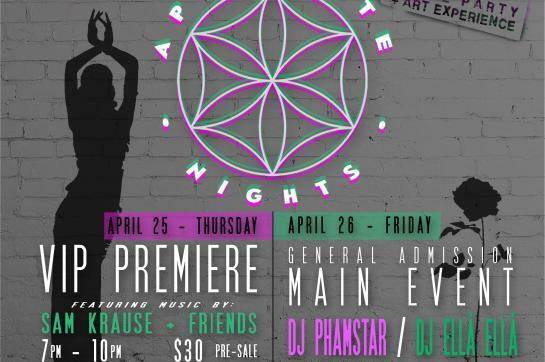 It's April, and we're bringing spring to life in all of our favorite ways with new interactive & immersive art pieces, incredible food & drink selections, fresh sounds from our featured DJs, and an exciting lineup of live artists and vendors to keep you entertained all night! 360º Planetarium experience of a new short experimental nature film that seeks to show our connectivity to the universe--created by Emmy Award winning documentarian Cyrus Sutton! No dance party, vendor market, or live artists during these hours, but Native Hostel has a wonderful coffee bar you can visit before walking through the activation! And a HUGE special thanks to our supporting partners at Native Hostel, and Austin Event Lighting! Native is for the seekers. The curious ones, filled with youthful wanderlust. Explorers who know that possessions are fleeting, but experiences last a lifetime. Austin Event Lighting creates beautiful spaces for special events.